The Superstar Shake-Up happens annually, and fans eagerly wait for it. Vince McMahon's billion dollar company makes several changes every year after WrestleMania, and it should not be different this year. 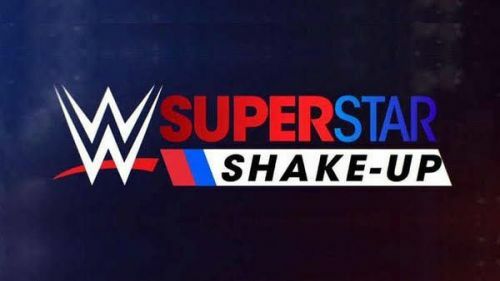 Superstar Shake-Up is exciting as the superstars swap brands and some NXT stars get drafted to the main roster. WWE already announced in January that the Superstar Shake-Up would take place after WrestleMania this year. The episodes of RAW and SmackDown Live were action-packed this week, and the company hyped the Superstar Shake-Up. Monday Night Raw opened this week when the newly crowned WWE Champion Kofi Kingston made a surprise appearance. It was a surprising sight for the fans as Kofi won the most coveted prize in the industry. The Bar also showed up on RAW when they interrupted the main-event, and they eventually fought the two Champions in a tag team match. The Usos are front runners to swap brands after losing the Smackdown Tag Team Titles on SmackDown Live this week. Jimmy and Jey put the twin belts on the line at the Showcase of Immortals against three other teams, and they defended the belts successfully. However, WWE announced that the twin brothers would put the belts on the line against The Hardy Boyz this week. 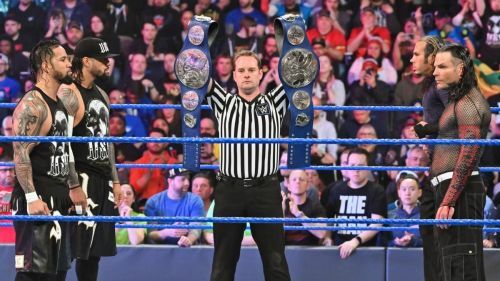 There is no denying that bout was spectacular on SmackDown Live, but Hardy Boyz overcame The Usos to win their maiden SmackDown Tag Team Titles. The Usos have been an integral part of the blue brand for a long time. The twin brothers definitely dominated the Tag Team division of SmackDown Live, and their incredible stats prove it. They won the SmackDown Tag Team Titles four times which is most by any team. Since the reintroduction of the brand split, they have been part of the blue brand, and they could be heading to RAW next week.